It’s time to celebrate with Christians Against Poverty. They’ve got some truly amazing news to share! At their conference, The Gathering, they announced something truly staggering. 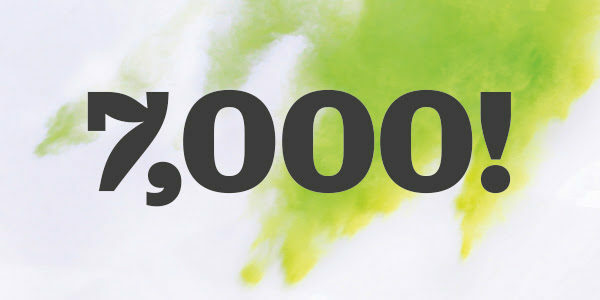 Already this year, with three full months of the year to go, one thousand CAP clients have made a commitment to Jesus! Not just that, but it brings the total number of commitments since CAP started to SEVEN THOUSAND! It seriously blows me away to think that the little charity I started in my bedroom office with a tenner has managed to bring God’s light into so many lives and increase his kingdom! It gives me so much joy to think that 7,000 people are now walking with God, experiencing his enormous love and bringing that light into other lives too. Praise God for Karyn and the thousands of others whose lives will never be the same again!